The third annual Enterprising Culture in Toronto on Friday, October 12 set out to explore the concept of wisdom in a digital age. Presented by the Canadian Film Centre ‘s Media Lab (CFC Media Lab) and the Cultural Service of the Embassy of France in Canada, speakers posed critical questions about hidden dangers in modern technology. They asked guests to consider the potential impact of new ideas, and address the challenges of finding broadly applicable and sustainable long-term solutions. If digital wisdom is the ability to use technology responsibly, how do we share those lessons to benefit society? How do we pass that wisdom on to the next generation? 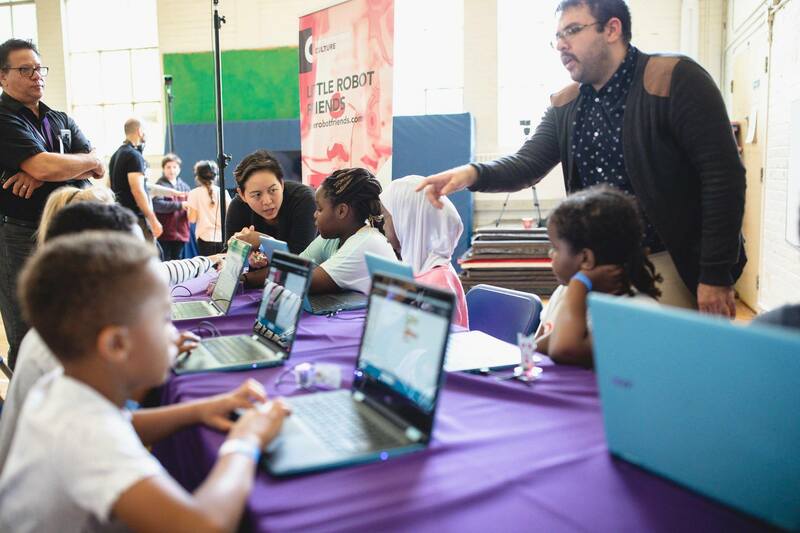 These questions gave this year’s Enterprising Culture forum in Toronto a strong educational focus, and prompted a new addition – Made for Kids: Tech Discovery Day. 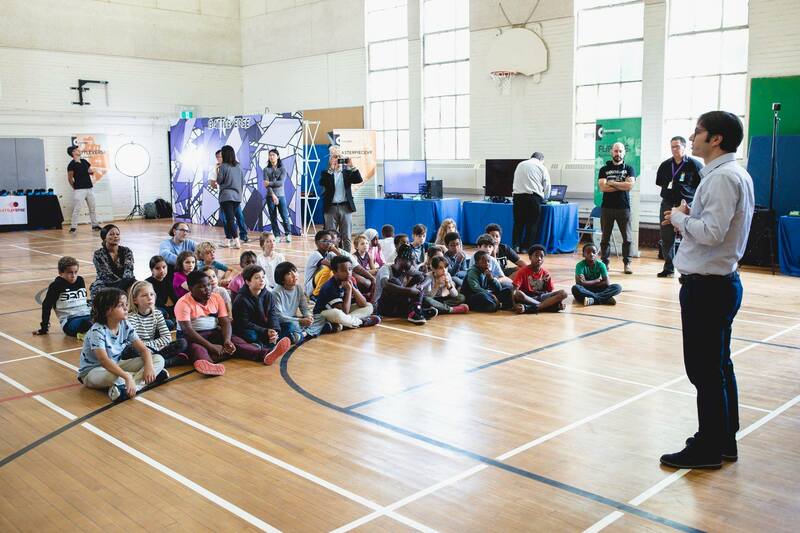 On Thursday, October 11, a group of Enterprising Culture’s organizers and participating startups went to Gabrielle-Roy Elementary School in Toronto to showcase their latest projects for a group of grade four students. 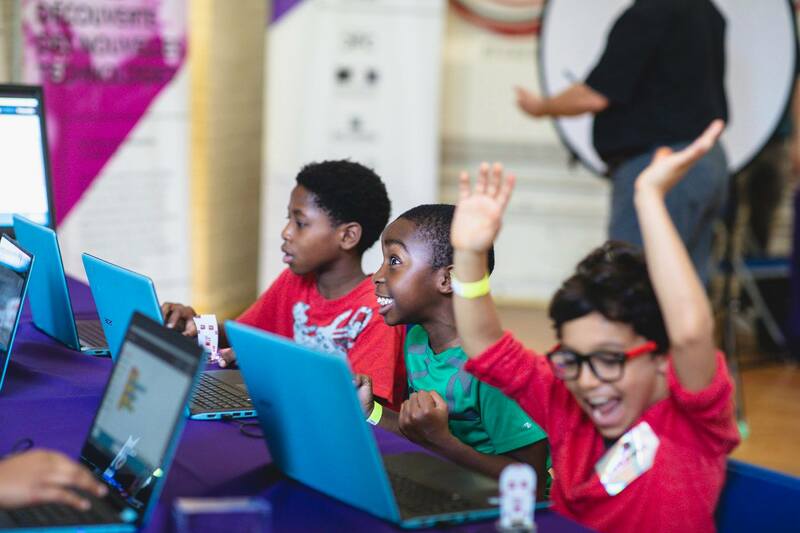 Like the conference itself, the Made for Kids: Tech Discovery Day gave its audience a chance to experience groundbreaking new technologies, and encouraged them to use that technology more humanely. “Education is key for the development of a person. We should keep being educated all life long,” said Sauveur Menella, the head of brand and communications for BNP Paribas Canada. BNP Paribas is one of the partners who has been involved in all three Enterprising Culture forums, and who sponsored Made for Kids: Tech Discovery Day specifically. He saw the educational focus this year as an opportunity to expand the scope of the conference. “We wanted to have more young people involved because they are part of the digital world,” says Menella. For the children engaging in demos first-hand, the immediate appeal of a Tech Discovery Day is obvious. They get out of class for an hour to draw and play video games in the gym. The recreational hook is precisely what made the demos so effective. They let the kids see how things that seem like fun toys can just as easily be used for more productive ends. 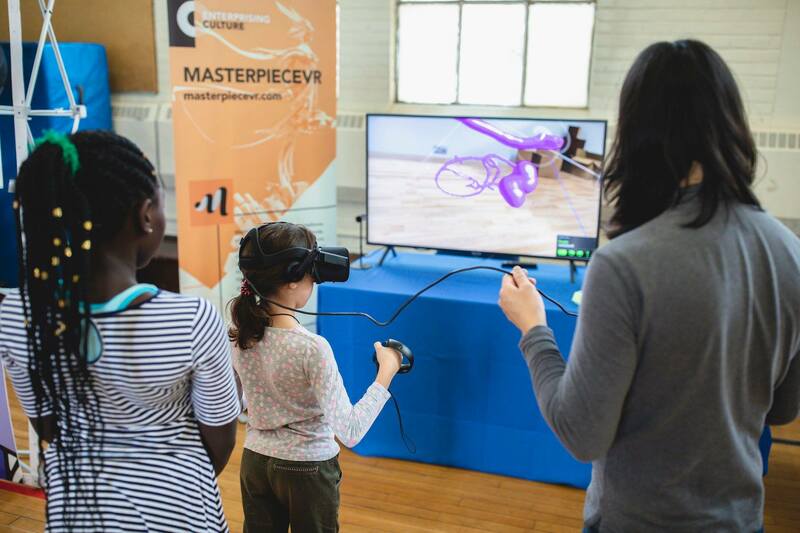 The lineup at Tech Discovery Day featured several startups that exemplify that forward-thinking philosophy, like MasterpieceVR and Dowino, a French game developer that makes socially conscious games like Glucozor, which teaches children how to manage diabetes. Both are interactive attempts to prepare children for the world they will encounter as adults. “We wanted to bring new technology to these kids to show them cool new experiences. We also wanted to open up the possibility of continuing this momentum beyond a single day with ongoing learning workshops. Little Robot Friends is the perfect opportunity for that," added one of the day’s organizers, Nataly DeMonte, the associate director of CFC Media Lab. In that regard, the transfer of knowledge goes both ways. The students get to see something new, while companies like BNP Paribas and startups like Little Robot Friends and Dowino get to see how people use their products. In the process, the latter get valuable user feedback that will allow them to build better, more responsive products. If you want to plan for the future, you need to know how the people in that future will navigate their environment. 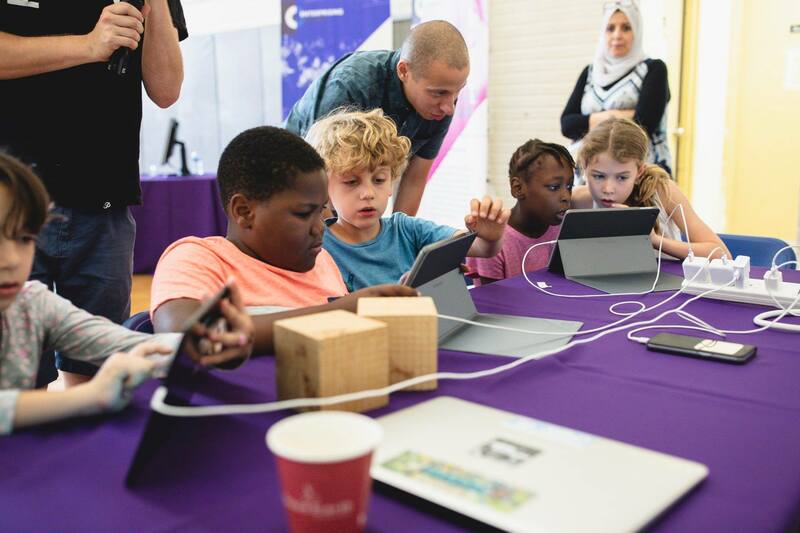 Pairing inspiration with ethical responsibility, the Tech Discovery Day gave kids a healthier, more constructive relationship with the tools at their disposal and highlighted digital literacy, suggesting that education can unlock wisdom for present and future generations alike. Photos by Brian de Rivera Simon.